Yep, blue lobsters do exist for real and they are not genetically modified ;), but the odds of catching one in North America are 1 in 2 million. Last Friday one such specimen was caught off the coast of Nova Scotia then thrown back into the water because it was too small to keep. The lucky lobsterman took the time to take a few pictures to document his unusual catch! 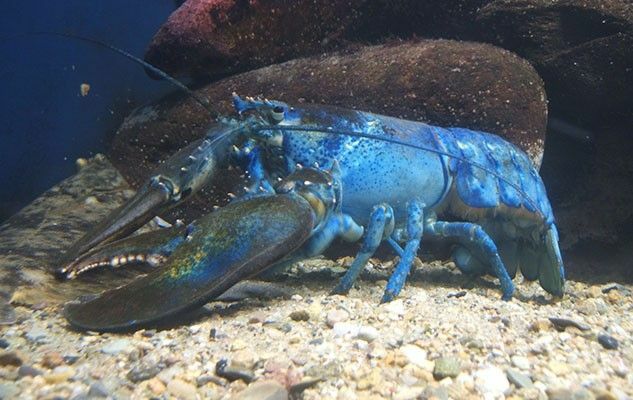 The blue colouration is caused by a genetic defect that causes the lobster to produce an excessive amount of a particular protein that gives the lobster the unique colour. « Do vegetarians live longer?